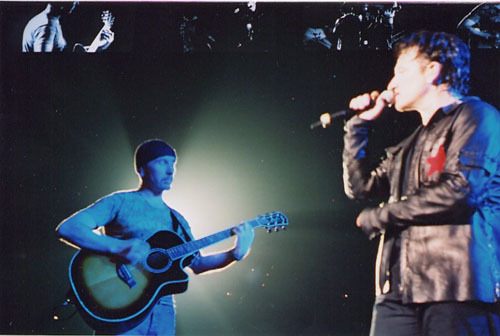 - LIVE: The Edge used this as his main acoustic during the first leg of the 2001 Elevation tour. One need to look no further than the U2 Elevation Live From Boston DVD to see The Edge playing this guitar. - STUDIO: Exact songs uncertain.